At Kaiser Permanente, your personal physician is the biggest advocate for your health, and coordinates your care with specialists as needed. You can find information on a wide range of top-notch physicians, including their education, credentials, and specialties by clicking the button to the right. Our doctors come from top medical schools, and many teach at world-renowned universities. Since we hire and train our own doctors, they are all held to the same quality standards. Your doctor, nurses, and specialists work together as a team. They’re connected to each other, and to you, through your electronic health record. They know your medical history, test results, medications, and allergies. So you get personalized care. 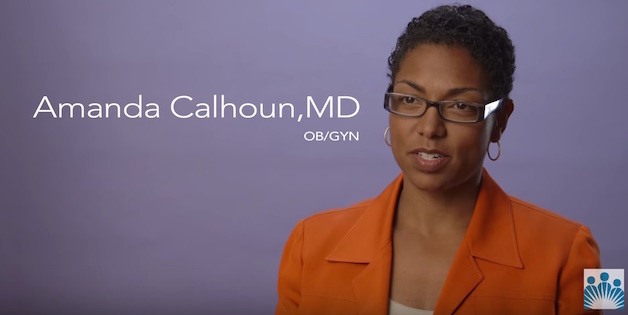 See how our coordinated care gives Dr. Calhoun the freedom to do what she loves the most - delivering joy to countless mothers.